Flowering time: June-August. Aquatic perennial. Invasive garden escape. Habitat: Originally a garden escape or discard from ponds and aquaria. 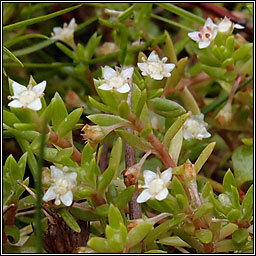 Grows on mud or in water and makes rapid growth. 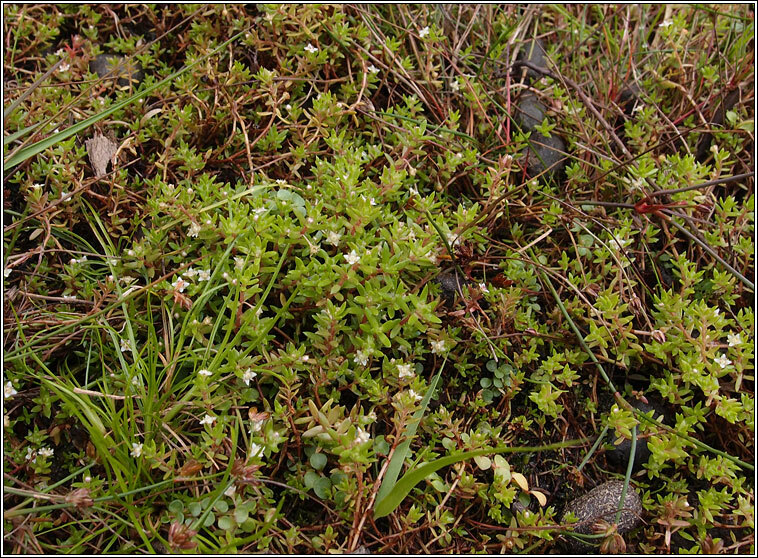 Can be locally abundant around pond margins and in shallow pools. Very invasive and increasing to the detriment of natural habitats. 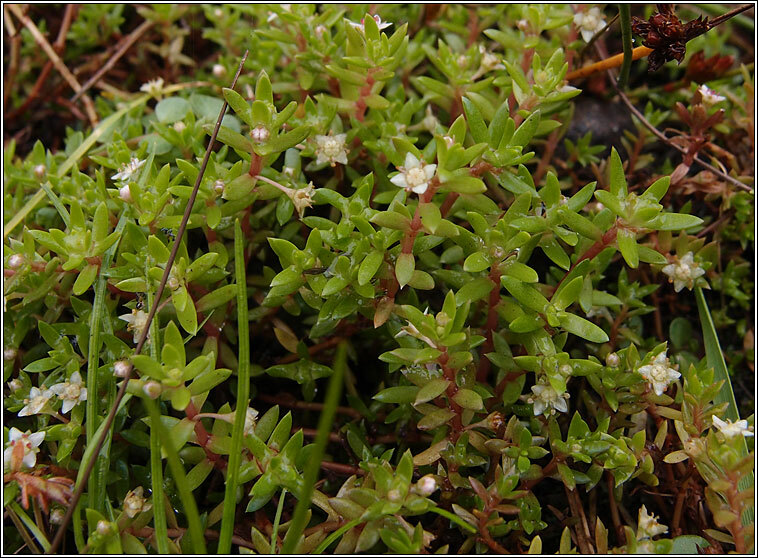 Tiny, stalked, axillary flowers, whitish-pink, 4-petalled, the petals longer than the sepals. The slender trailing and/or erect stems bear fleshy, opposite, linear leaves.